ARCH ENEMY (Sweden) Hellfest concert shirt illustration. 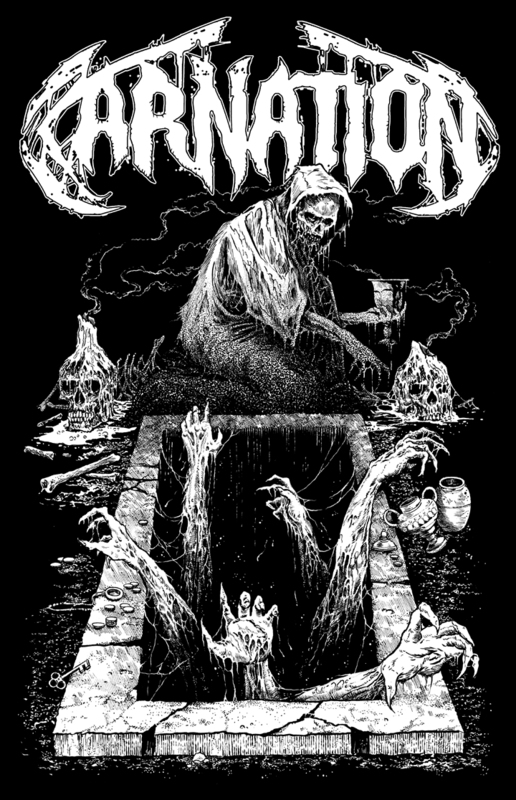 T-Shirt illustration for CARNATION (Belgium); check out their new album, “Chapel of Abhorrence,”…crushing death metal! “RIDDICKART” T-Shirt and longsleeve now available through my website. Printing courtesy of Inferno! T-Shirt illustration for ARCH ENEMY (Sweden).